Home 'The Road Home' Podcast Episode #4: Why Stick With Your First Company One Full Year? Episode 4: Why Stick With Your First Company One Full Year? Sticking with your first company for one full year is one of the core concepts we teach new drivers coming into the industry. But why? What's the big deal? Why not jump around from company to company until you're happy? Well there's a long list of reasons, in fact, and in this podcast we'll go deep into why it's to your advantage as a driver to stick with your first company for at least one full year. Transcript: Why Stick With Your First Company One Full Year? Hey folks, I'm Brett Aquila with TruckingTruth.com and welcome to another episode of our Podcast 'The Road Home' where we help new drivers prepare for life on the road. Today I'd like to talk about why it's so important to stay with your first company for one full year. Everyone keeps hearing that there's a shortage of truck drivers and most people take that to mean that anyone with a CDL is in high demand because they're valuable. And if you're that valuable then why would you put up with any baloney from your company, right? If they won't meet your demands then you have the luxury of quitting your job today and having a new one tomorrow. That's the beauty of being in demand, right? Unfortunately this theory doesn't hold true at all. No one thinks you're valuable because you have a CDL. Having that CDL doesn't mean you're a safe, reliable, hard working, trustworthy driver. It's not an indication that you're going to stick with your company for a while, and it doesn't mean you know how to operate the truck in such a way that the company will be able to turn a profit from your work anyhow. So if a company can't rely on you to stick around and they can't turn a profit from your work then you're nothing but a liability to them. In fact, you're exactly the opposite of valuable. Having a CDL and a solid background means someone will give you an opportunity to prove yourself. That's it. No one thinks you're valuable. They think you have potential. That CDL will get your foot in the door, but in the end you'll get the miles and the treatment you deserve based upon your performance. Taking that approach is a huge mistake that's only going to keep you from getting the great miles and great treatment you deserve. No one is going to assume you're a valuable driver, but they will give you the opportunity to prove it one way or the other. So if having a CDL doesn't make you a valuable driver then what traits do make a driver valuable to a trucking company? Well you have to be safe above all else. You have to be hard working, efficient with time and fuel management, easy to get along with, gentle on the equipment, and a great problem solver who knows how to think on the fly. Of that list, being a hard worker and being easy to get along with are the only two traits you can come into this industry with. The rest are learned skills and those skills take quite a bit of time to develop. They certainly do not come fast or easy for anyone. So in the end your goal is to be considered a valuable driver to your company so you will be given the great miles and great treatment that the other top tier drivers get. So let's explore the process you'll have to work through in order to become a valuable, trustworthy top tier driver in this industry. The first thing you have to do is learn your trade and it will take most of your rookie year just to get to a minimum acceptable level of competence and performance. Not hitting things is a good start, but it's not nearly enough. You have to turn the big miles the top tier drivers are turning safely and reliably, week after week, month after month. That means learning time management, problem solving, routing, navigation, and communication. You have to learn to navigate around congested cities, fast moving storms, restricted truck routes, and construction zones. You have to learn how to talk your way into faster loading and unloading times, talk your way out of getting tickets, and buttering up mechanics to get that truck out of the shop more quickly. In the end you have to become the type of driver who can be given a schedule and left alone to do their job. That means you must have good problem solving skills and you must be a fiercely independent operator who knows how to get loads picked up and delivered safely and on time regardless of the constant stream of roadblocks getting in your way. You're not going to learn to do all of this at an acceptable level within a few months. It's going to take a full year before you're really going to learn a lot of the important tricks of the trade. The second thing you have to do is learn how to manage the rest of your life on the road outside of your job duties. You have to find time to eat, shower, shop for groceries, and do laundry. You have to make time to talk with your family and friends back home, find a doctor if you need one, and manage any prescriptions you may be taking. And if you want to maintain your sanity you have to learn how to enjoy yourself out there a little bit too. Again, you're not going to learn all of the in's and out's of managing your entire life on the road in a few short months. It takes a lot more time than that. And until you can manage your personal life on the road you're not going to be able to manage your job duties safely and efficiently. The two must be managed together at the same time and it's one heck of a juggling act that takes a long time to learn. The next thing you'll have to figure out before you can make an intelligent move to a different company is your own preferences for trucking. What type of freight do you want to haul? How often do you want to get home? What type of equipment do you like to drive? What regions of the country would you like to run? Would you rather run team or solo? It's going to take quite a bit of time before you really understand the various options for your career and your own personal preferences. If you start jumping ship after a couple of months there's no way you could possibly know everything you're looking for in a trucking job. Jumping from one company to another without enough good information to go on is simply going to mean trading one set of problems for another. You're not going to make improvements by guessing or with wishful thinking. The next thing you'll have to figure out is how the trucking industry works in general. For instance, many people expect to be handed a set of keys and given plenty of work to do like you would at most jobs. But that isn't normally the case in trucking. Drivers are actually competing with each other for freight because there's only so much to go around. The freight certainly does not get divided up evenly. The best runs, the most miles, and the special favors all go to the top tier drivers at any company and the leftovers normally go to the lower performers. Not only that, but there will be times you'll kind of 'slip through the cracks' and get some lousy miles or a few short runs in a row. As a driver you have to speak up and let dispatch know that it's time for them to throw you a bone and give you some better miles. You have to learn to lobby for what you want sometimes. So the industry is performance-based, but even the top performers have to give their company the heads up once in a while if they're not getting their fair share of miles or fair treatment. Not only that, but every time you change companies you're starting over at the bottom. See, no one is going to give you the benefit of the doubt. Just because you've done something for a while doesn't mean you're any good at it. It doesn't mean you're disciplined, dilligent, safe, easy to get along with, and eager to turn a lot of miles. So you're going to start over from the bottom and prove yourself all over again. No one knows you and no one will assume you can do the job. You'll be given the opportunity to start at a better pay rate with more experience, but in every other way you're starting over at the bottom. You also have to understand that this industry has a rather large contingent of drivers who switch companies once or twice a year. This kind of turnover is very expensive for a company to manage. If you develop a reputation as a job hopper, especially early in your career, it's really going to hurt your prospects down the road in a big way. Finally, you'll get the best results with a pay-it-forward approach with dispatch. Prove to them you're a safe, hard working, reliable driver who handles themselves like a professional and you'll be given the great miles and special favors the top drivers get. But if you stroll into a company thinking you've already proven yourself as an expereinced driver so they should be catering to you, you're going to be sorely disappointed. Keep in mind that a driver's pay and treatment is performance-based, and that means recent performance, not the distant past. If you're late with load assignments or you're not getting the job done for some reason no one is going to care that you're an experienced driver. You're simply going to be a liability to the company and you likely won't be around for long. The next thing you have to learn is how your company operates on the inside and you have to get to know the right people. It takes time to learn who has the authority to assign trucks, assign freight, and approve home time. You have to learn your company's policies regarding fueling, routing, navigation, maintenance, freight assignments, payroll, and a million other things. You also have to learn who to speak with when you're having problems. If your truck is in the shop for too long, who do you talk with? If you get in a fender bender out there, what are the procedures? If you're not getting the miles you know you deserve then who's fault is that and how do you get it resolved? Problem solving within your own company is one of the critical factors affecting a driver's happiness and success out there. No matter how great you are as a driver you're going to need to make some phone calls to get situations resolved once in a while. Getting to know the right people within your company like your dispatcher, your dispatcher's boss, the operations manager, the safety manager, and some of the load planners can make your job and your life on the road so much nicer. There are also a lot of opportunities within any large carrier that the comapny simply won't advertise. There are special dedicated divisions that may stay in a certain region of the country, or may get you home more often, or may keep you working exclusively for one special customer, and could be all of the above. These opportunities are normally only avaiable to select drivers that have been with the company and proven themselves over time. So before you consider changing companies for a better opportunity, make sure you talk around at your current comapny to learn about any other options that might be available. Finally, the most important relationship you have to develop is with your dispatcher. You and your dispatcher will form a good working relationship over time. Your dispatcher will learn what it takes to help you do your job better, including things like where you like to run, how you like to set your schedules, and how you like to communicate. Your dispatcher will learn what type of problems you're capable of handling on your own and whether or not you're reliable enough to be trusted with the company's most important customers. You will also learn what it takes to help your dispatcher do their job better. You'll learn their communication style, you'll learn what information is important to them, and you'll help them schedule your assignments by giving them better information. 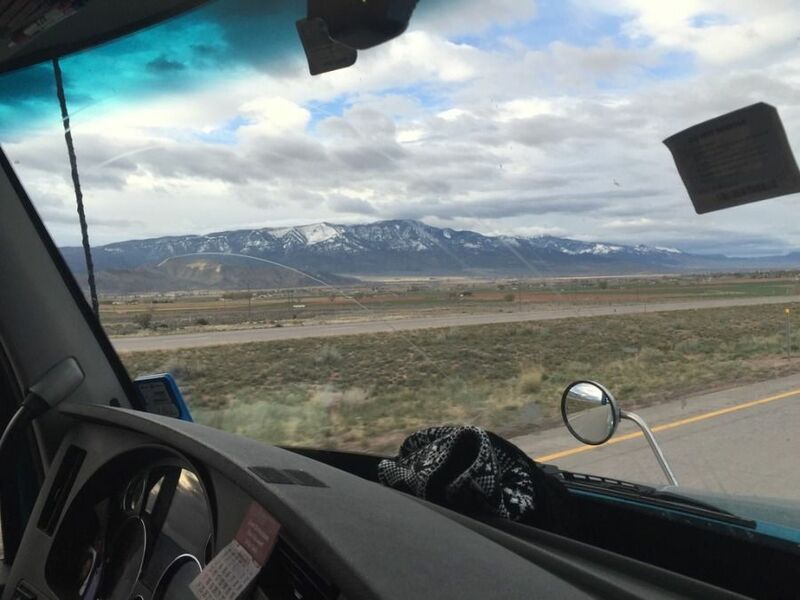 Your goal here is to earn the trust of your dispatcher so you'll be assigned the best freight from the most important customers, you'll be preplanned on runs, you'll turn great miles, and you'll even get a special favor once in a while. Nothing is more important to a driver than a solid working relationship with dispatch and once again you'll find that changing companies means starting all over as a nobody from the bottom, getting to know the right people, and earning that trust and respect all over again. Finally, if you happened to go through a company-sponsored training program there's a huge reason to stick with your company for a minimum of one year. Your company has made an investment in you. They've spent their time and money training you. They've used some of their best drivers and their most valuable equipment teaching you this trade. Now they need you to succeed in order to recoup their investment. So the company is going to be a lot more forgiving of any minor discretions, like a few late loads or a fender bender along the way. If they fire you, they lose their entire investment and will likely lose you to a competitor on top of that. So if you jump ship to a new carrier you're now putting yourself in quite a vulnerable position. You're a rookie driver with very limited skills and you're working for a company who won't lose a thing if they let you go. One or two minor screwups and they might decide to cut you loose. Now you have a terrible looking resume. You jumped ship immediately at your first company without fulfilling the contract and then you were fired from your next job for making too many mistakes. Now who do you think is going to be jump at the chance to be your third company in your rookie year? Very few people I can assure you. See, this industry and this job are so vastly different from anything most of us have experience with that there's almost no chance you're going to be able to make intelligent moves that improve your career when you're brand new. In fact, the owner of a large carrier told me recently that their second most effective hiring path is rehiring drivers that are returning to the company after quitting and to go elsewhere. That's how common it is for people to make the mistake of thinking the grass will be greener with a new company. Much of the time a driver will simply find themselves starting over at the bottom with an entirely new set of problems. So as you can see there is a long list of reasons why it will help your career as a driver to stick with your first company for a minimum of one year. It's going to take time to learn your trade and learn how this industry operates. It's going to take time to prove yourself to be a safe, reliable, hard working driver and to develop a great working relationship with dispatch so you'll get the great miles and home time you deserve. And it's going to take time to learn how your company operates on the inside so that you can make the most of their system and to get problems resolved quickly and easily. So before you decide to jump ship, be certain you've put in the necessary time and effort it takes to put yourself in a strong position with your current company and explore every opportunity they may have available to you. You'll get the best miles, make the most money, and get the best treatment working for a company that knows you and trusts you. You want to stand behind a company that's willing to stand behind you so that in the end when the work is done you can kick back, relax, and enjoy the road home. I'm Brett Aquila with TruckingTruth.com and we'll see you next time.